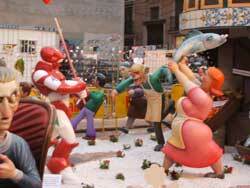 ...and in this fragment (ninot) the brave fallera is protecting it with a big fish from Mercado Central. 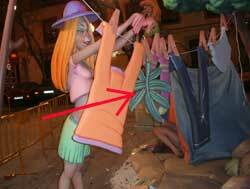 The hippies are still popular characters. 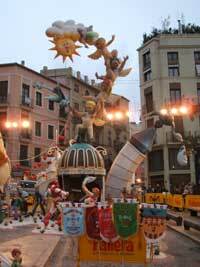 The Valencians seem to exhibit some kind of tenderness to the 60s. 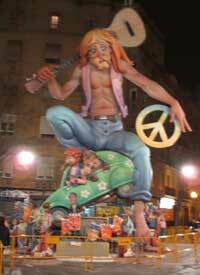 ...and in this fragment (ninot) the hippy sterrotypes are still alive.